You see the big words HandWash? It's not for you to wash your hands though. It's for cars. Cars have hands? Would you associate a Trade Union to a supermarket? Somehow in Singapore, when you mention NTUC, people's mind will think of a supermarket. Chinese 'aunty' speaking hokkien with another chinese 'aunty'. 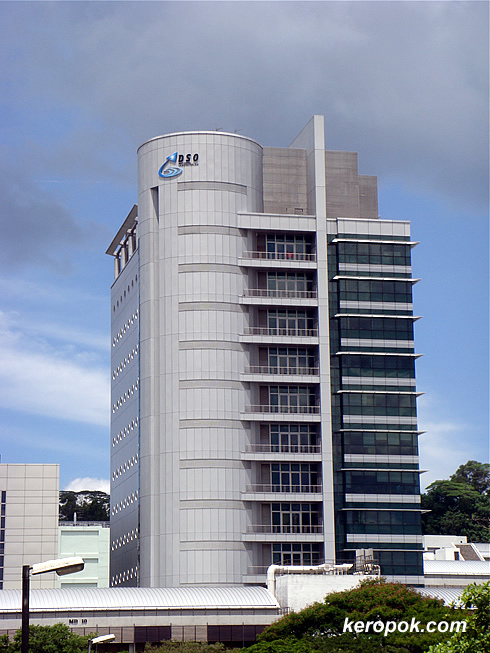 "Ooo buay pang sai zhua boh, jin phee leh, bah lu si kor pua, oo sar chap lak liap leh. Wa chu ey lang, jing gao pang sai. Gao jiak, gao pang." Malay 'aunty' speaking to another malay 'aunty'. "Kak dah beli sirap ros kat NTUC tak? Ohper lah. Minggu ni murah. Boleh stok up lah.. Biskut Oreo pun ohper. " Chinese aunty: "Today vegetable on offer in NTUC, you buy already or not." Malay aunty: "No lah, yesterday I buy already. Yesterday I go Giant, also got offer. Very fresh somemore, so I buy vegetable there already, today come here buy fruits only." In many places in Singapore, Chinese 'aunties' and Malay 'aunties' will speak their own dialect/language amongst themselves. But when they need to speak to people of other races, they break into "Pidgen English - Singapore style." AND.... They understand each other!! 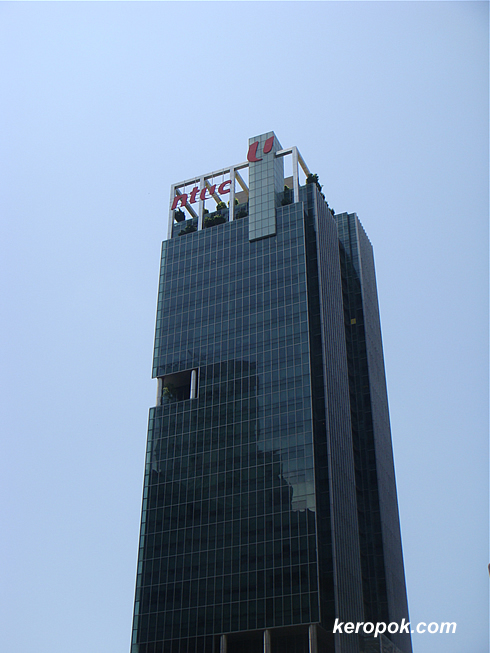 Thi is NTUC Centre at One Marina Boulevard. I wonder if there's a Fairprice outlet in this building. I always wondered how it looks inside. 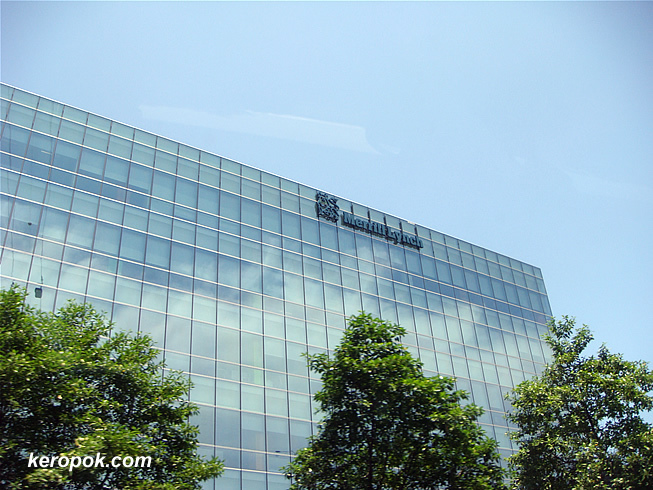 One side of the building is so transparent with all glass. Maybe one day in future. Just a quick random post today. This building it the DSO National Laboratories. 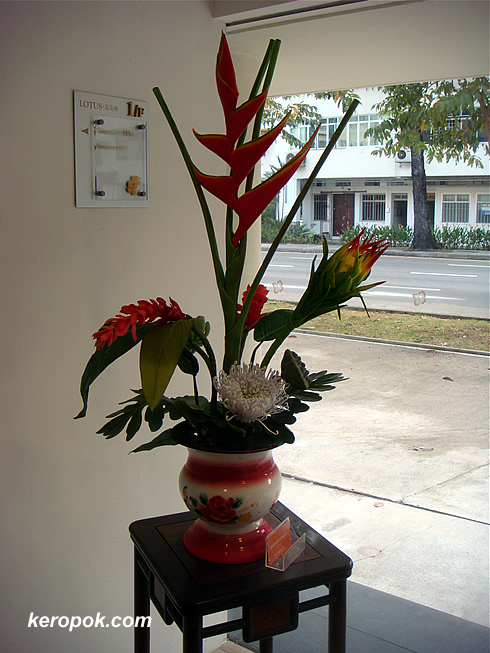 For some of us, this looks a bit weird, others a beautiful work of flower arrangement. Our family went to this restaurant some time ago and saw this 'flower pot' being used. Do you know what the 'pot' is used for in the olden days? 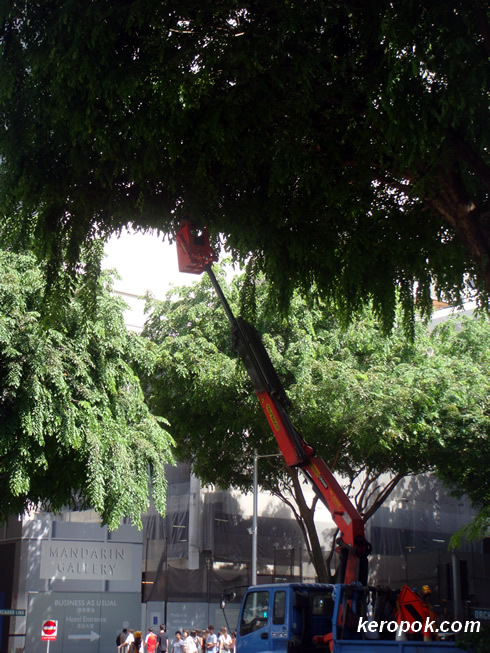 It's called a 'Tam Pui' in the local Hokkien dialect and its used for urine and spits. So we teased the lady owner about it, and she said that it's all brand new. No smell right? A sure conversation starter. LOL. On the way to lunch, my colleagues and I stopped and admire this car for a while. 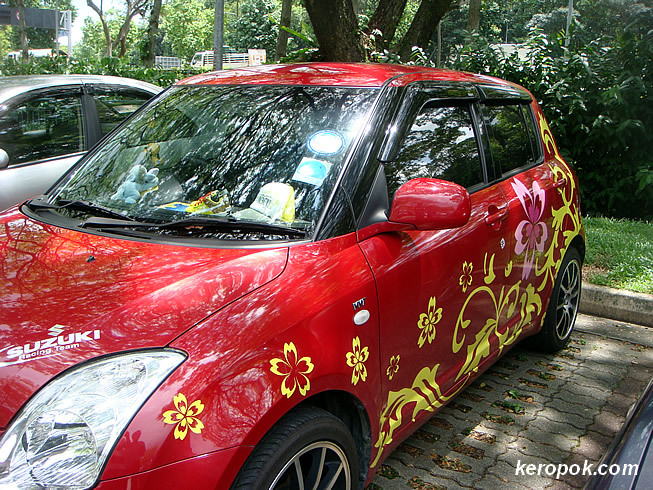 We seldom see such cars around. Most Porsche you see are the small little ones. 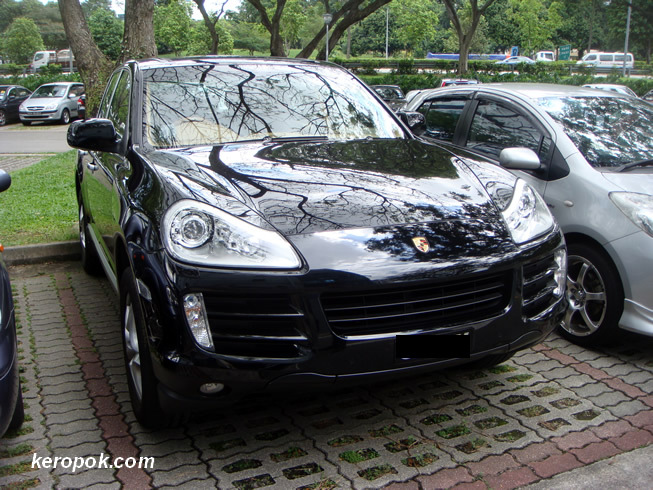 This is the Cayenne that's built for the tough terrain, but the roads in Singapore are so smooth! LOL..
'Choot' in the local Hokkien dialect is 'come out'. The locals like to say 'someone choot pattern' meaning to say someone is being difficult. 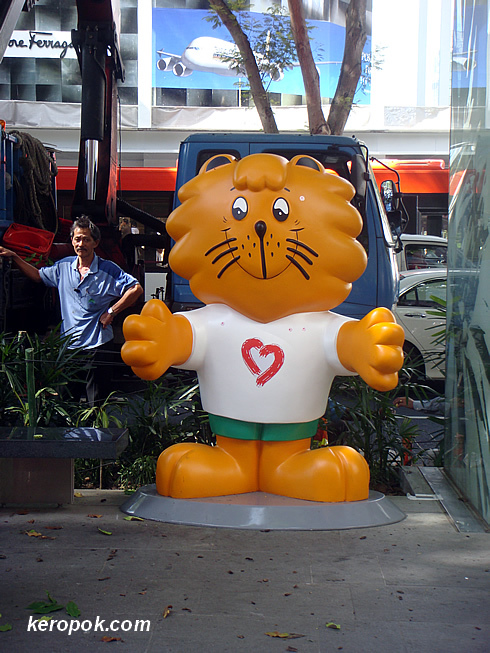 People in Singapore will recognize this 'lion'. It's Singa the Courtesy Lion! The mascot of the National Courtesy Campaign. The lion has been around since 1982. They brought out the lion again, the courtesy index must have gone way way downhill again! Test 1: Did you let people out of the train before you rushed in today? Test 2: Did you hold the door for someone today? Test 3: Did you give up your seat for someone in the train or bus today? 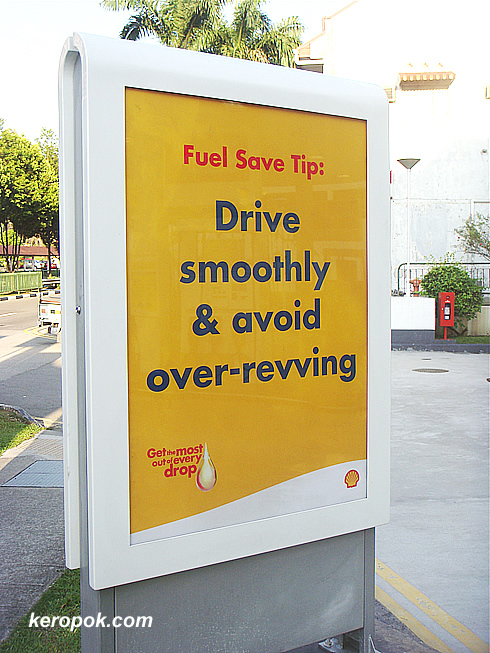 Test 4: Did you curse at the driver who overtook you on the roads today? Wikipedia has a write up about the National Courtesy Campaign. 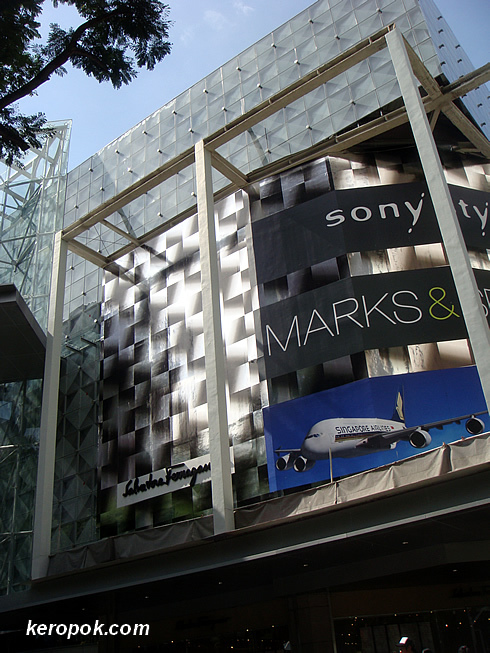 It has been a long time since I walk along Orchard Road. 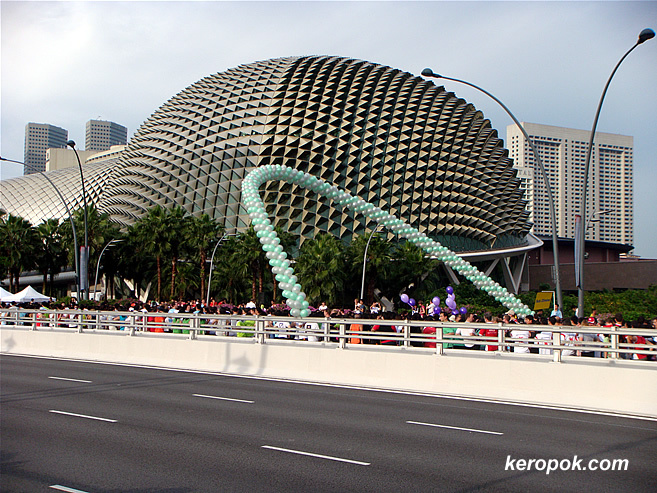 Walking along the every crowded road, it seems that the makeover of Orchard Road is taking shape. The exterior makeover for Paragon seems to have been completed. So 'shiny'. Do you sense something odd here? The people in the photo, most of them are working in the finance and corporate sectors. Rumour is that those who participate might not get the 'axe'. Labels: Esplanade, Seen on the streets. 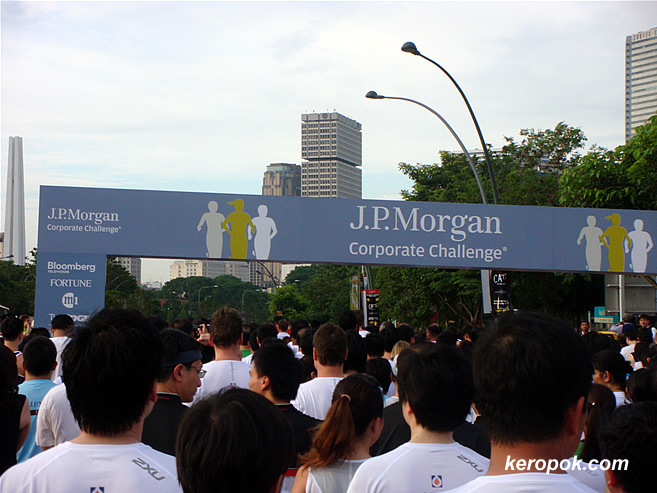 Momo was at the J.P. Morgan Corporate Challenge and these are the photos she took today. 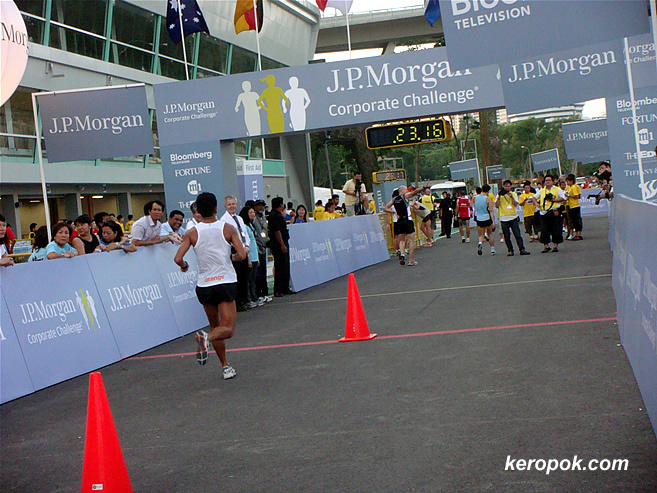 Tomorrow at the CBD, roads will be closed for the Annual JP Morgan Corporate Challenge. 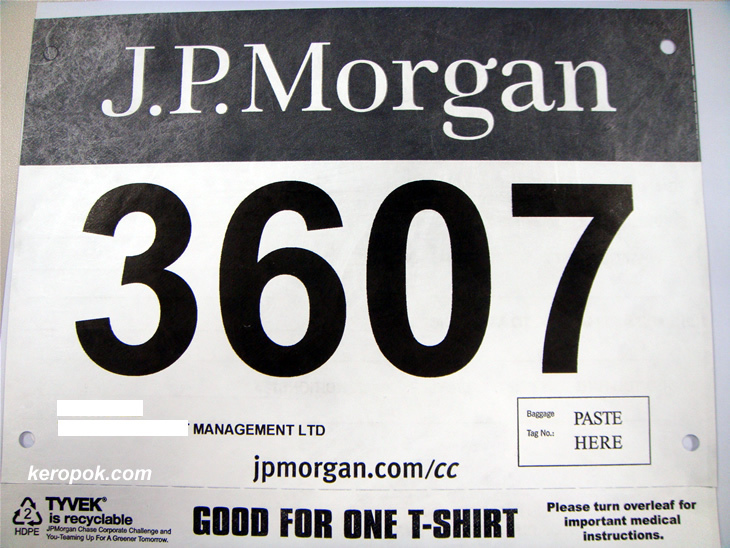 The runners have all got their tags like the one shown here. Everyone's so bogged down with so much work. 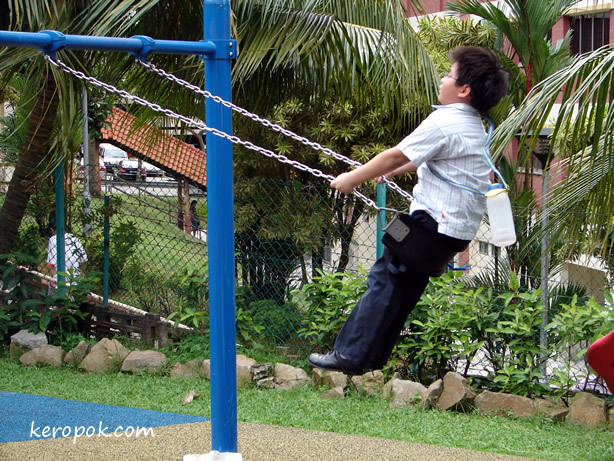 Take time to play, just like this boy. He looks so happy and stress free. Can you imagine the apartment that you stay in has a lighthouse right on the top? Well, residents in this block can claim to have it. 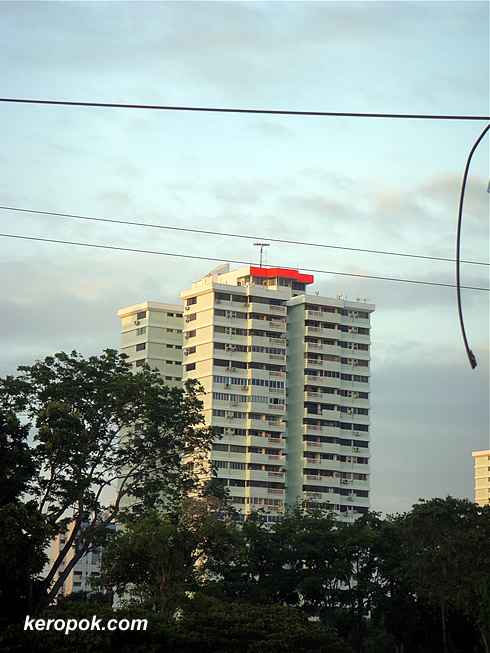 It's the Bedok Lighthouse and it's the only lighthouse on mainland Singapore it seems. A very Blessed Easter to all. He is risen indeed! Together with all who commemorate Good Friday, Thank You Jesus. 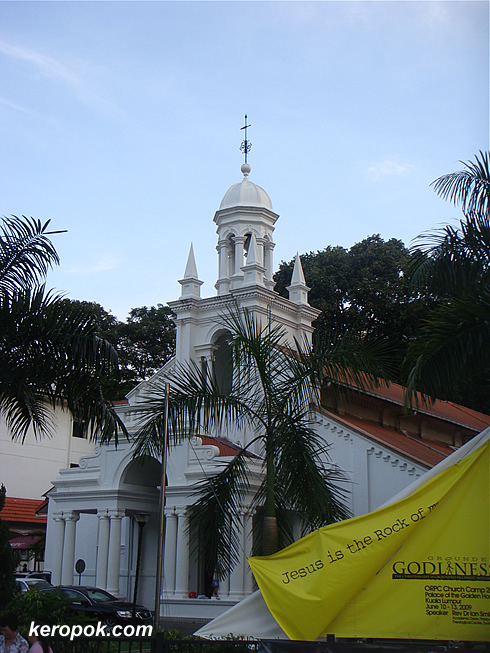 Photo of a church in Orchard Road. One of the many Presbyterian Churches in Singapore. I was at a rehearsal for the Good Friday service for tomorrow. Here's the orchestra and the choir practising very hard for tomorrow's service. Have you wondered what is Good Friday and Easter? It will be a long story if I write them here. But if you are reading this and can make it for the 10.30 am service at the Singapore Expo Hall 3 on Good Friday, come and join us and find out more. This is a combined service of all the English speaking Presbyterian Churches in Singapore. But you read this too late and missed the Good Friday service, then visit the nearest church to where you live this coming Sunday. 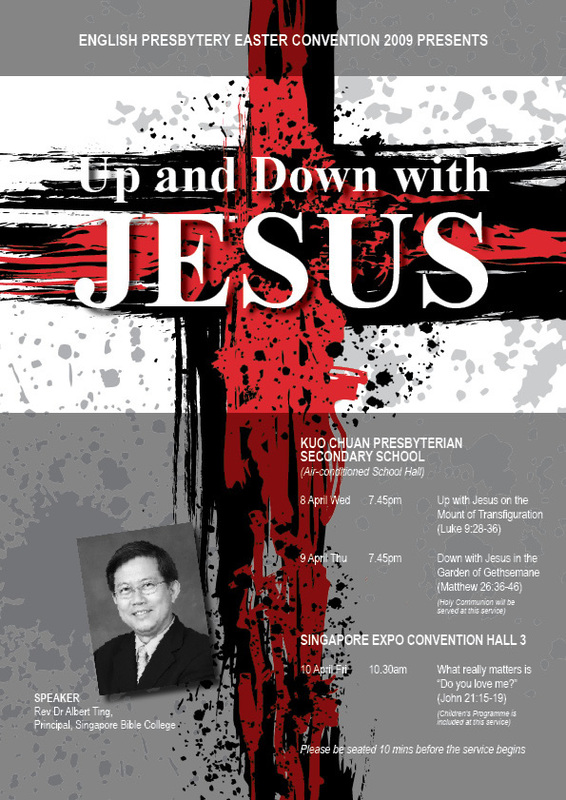 If you are staying in Bukit Timah or the surrounding areas, I invite you to join me at Glory Presbyterian Church at Pei Wah Avenue. There are 3 services, the 7.30 am, 930 am and 11.30 am services. You are most welcome to join us for our Easter Services. Come and find out what Easter means to Christians and what it can mean to you too. 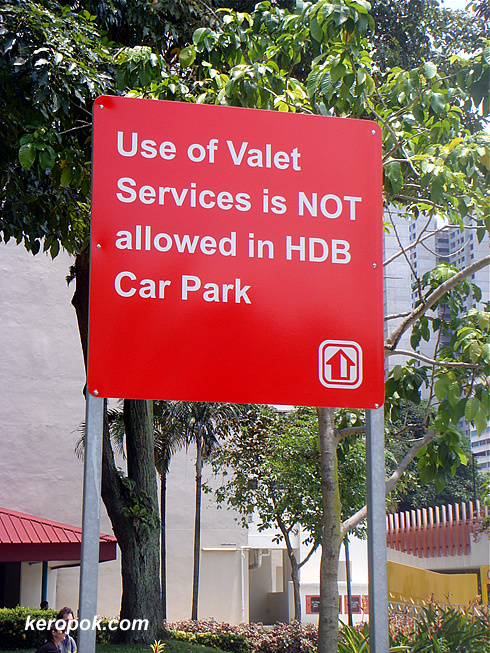 Saw this today and got reminded of the 'no valet' saga in September last year. It seems the signs has been there for so long, but it's the first time I noticed it. Jolt your memory by reading the news article here on the Straits Times. The old and new co-exists nicely don't you think? Botero's oversized and round works of art always catches people's eyes. 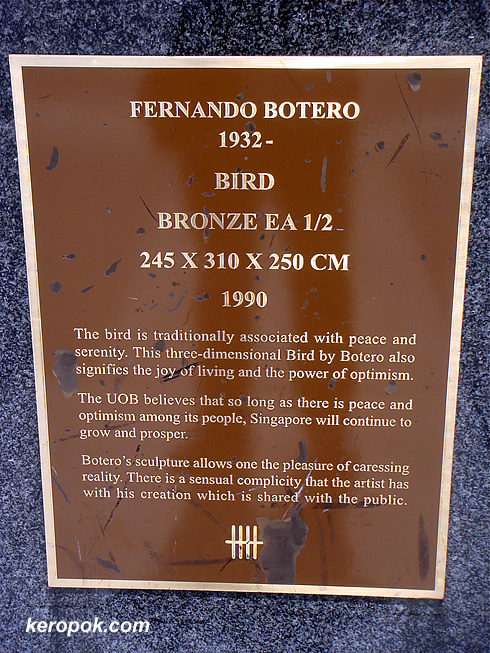 This is one of his art piece at UOB as well. 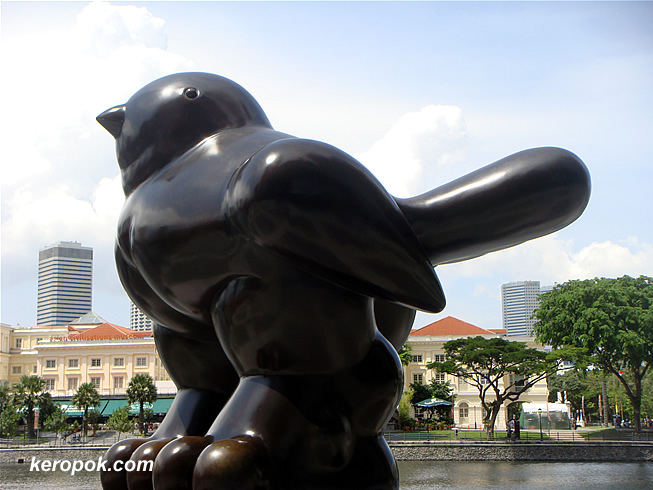 Another of Salvador Dali's works in Singapore. 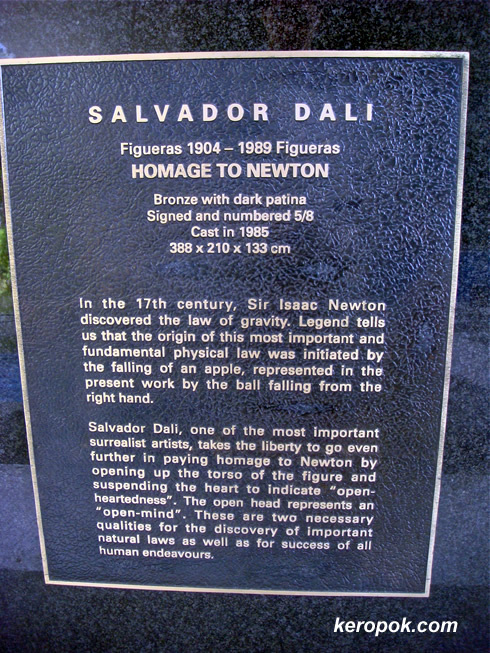 This is Homage to Newton. 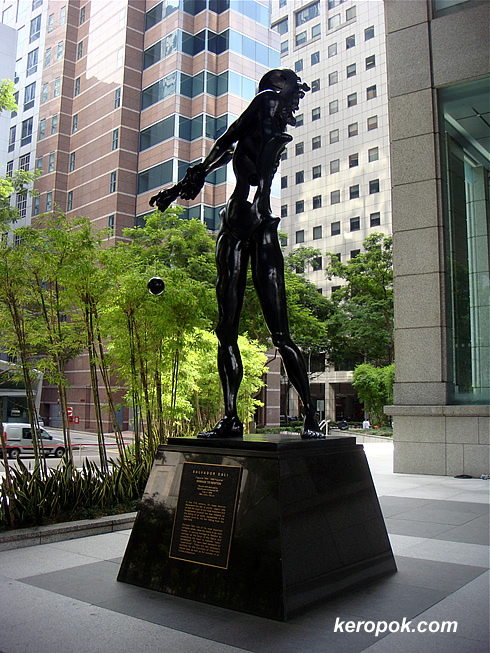 Located at UOB Plaza at the UOB Plaza at Raffles Place. These cables have been appearing where I live. It looks like fiber optic cables. 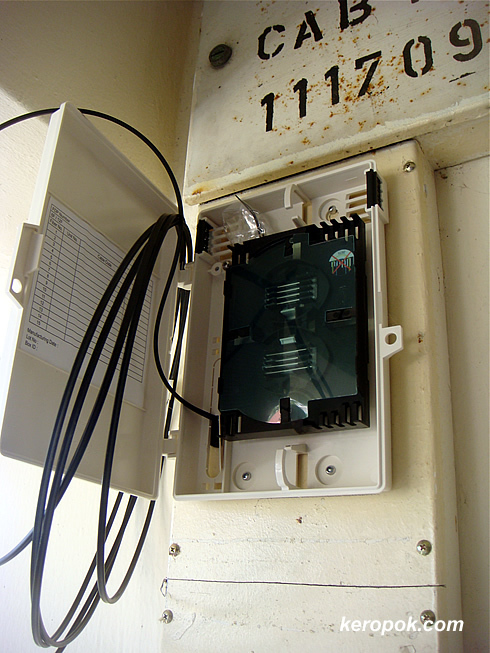 Are we going to get fiber optic speed connections to our homes soon? Can't wait! One of the most unique building around in town. 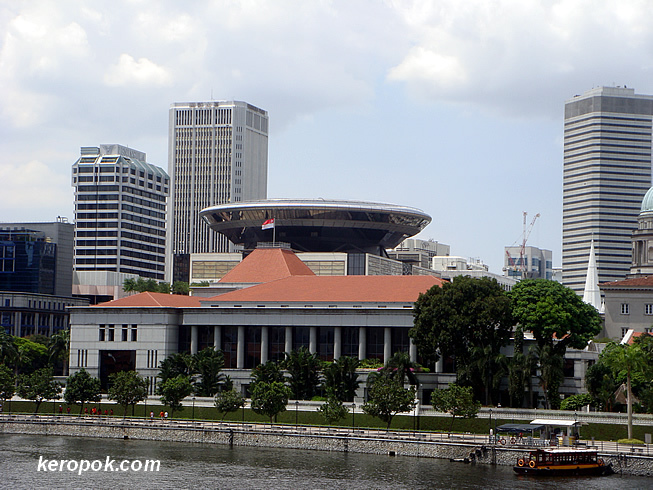 The supreme court has a top that looks like a space ship. 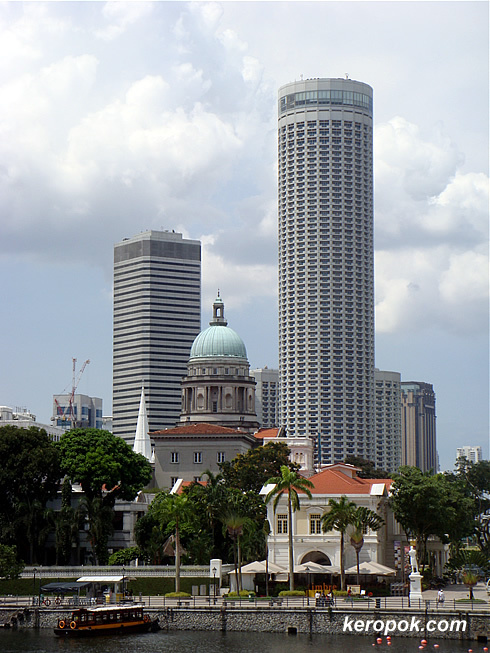 The building in front is the Parliament building. It's the first of the month again and many City Daily Photo community bloggers are participating in the Theme Day post. The theme is "Yellow" for April. 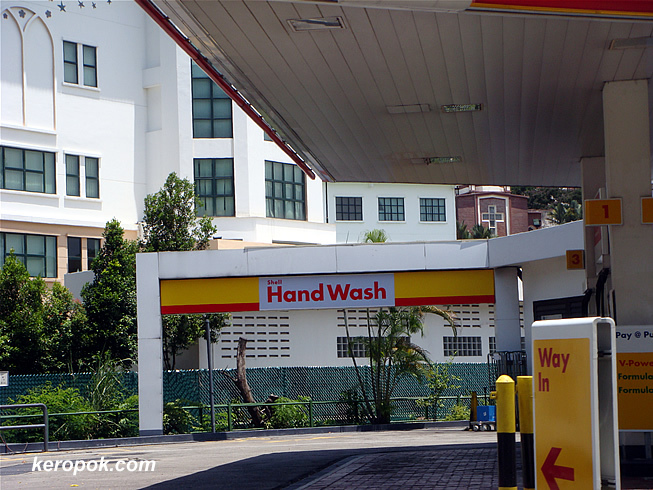 I think yellow is the theme colour for "Shell", the petrol/gas company. Most of their signs are in yellow. 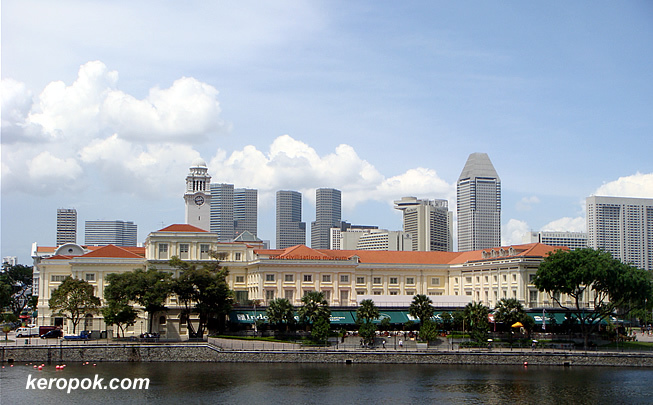 With regards to saving money, why not take public transport if possible if you are in Singapore. 1 April is the day that public transport rates go further down. Click here to view thumbnails for all participants of the City Daily Photo Theme Day.